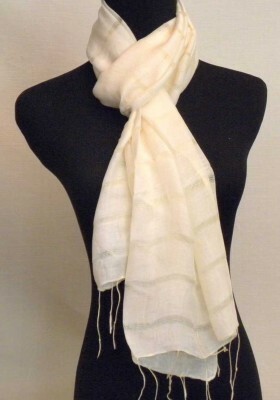 This pale yellow raw silk/hemp blend scarf is as soft as any scarf we’ve ever seen. The material drapes beautifully and easily. 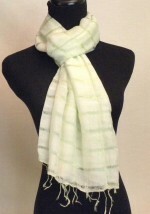 It is light weight enough to wear as a summer scarf and long enough to be worn as a shawl. 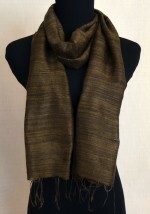 With it’s delicate color and material, it indeed makes an elegant light shawl. This pale yellow silk scarf will be a cherished accessory for years to come.